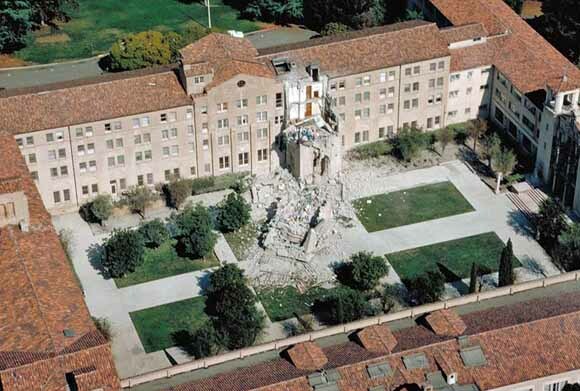 Strong ground motion generated by the Loma Prieta, Calif., earthquake (MS~7.1) of October 17, 1989, resulted in at least 63 deaths, more than 3,757 injuries, and damage estimated to exceed $5.9 billion. Strong ground motion severely damaged critical lifelines (freeway overpasses, bridges, and pipelines), caused severe damage to poorly constructed buildings, and induced a significant number of ground failures associated with liquefaction and landsliding. It also caused a significant proportion of the damage and loss of life at distances as far as 100 km from the epicenter. Consequently, understanding the characteristics of the strong ground motion associated with the earthquake is fundamental to understanding the earthquake's devastating impact on society. The papers assembled in this chapter address this problem. Damage to vulnerable structures from the earthquake varied substantially with the distance from the causative fault and the type of underlying geologic deposits. Most of the damage and loss of life occurred in areas underlain by “soft soil.” Quantifying these effects is important for understanding the tragic concentrations of damage in such areas as Santa Cruz and the Marina and Embarcadero Districts of San Francisco, and the failures of the San Francisco-Oakland Bay Bridge and the Interstate Highway 880 overpass. Most importantly, understanding these effects is a necessary prerequisite for improving mitigation measures for larger earthquakes likely to occur much closer to densely urbanized areas in the San Francisco Bay region. The earthquake generated an especially important data set for understanding variations in the severity of strong ground motion. Instrumental strong-motion recordings were obtained at 131 sites located from about 6 to 175 km from the rupture zone. This set of recordings, the largest yet collected for an event of this size, was obtained from sites on various geologic deposits, including a unique set on “soft soil” deposits (artificial fill and bay mud). These exceptional ground-motion data are used by the authors of the papers in this chapter to infer radiation characteristics of the earthquake source, identify dominant propagation characteristics of the Earth’s crust, quantify amplification characteristics of near-surface geologic deposits, develop general amplification factors for site-dependent building-code provisions, and revise earthquake-hazard assessments for the San Francisco Bay region. Interpretations of additional data recorded in well-instrumented buildings, dams, and freeway overpasses are provided in other chapters of this report.